Outgoing TD Seán Sherlock is seeking re-election in Cork East. 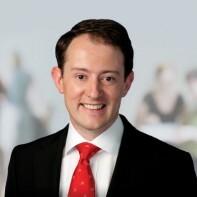 The four-seater has traditionally been a good stomping ground for the Sherlock family, and in the 2007 general election, Sean's proved that he is capable of picking up where his father Joe had left off. On that occasion, he picked up over 13 per cent of first preferences and was elected to the constituency's final seat. He is currently the Labour Party spokesperson on Agriculture and Food. Sherlock is a member of the Mountaineering Club of Ireland.